slow motion of housewife sing with scoop and swing in the kitchen. She couldn't stop dancing. hd00:30slow motion of cooking preparing and making food concept. 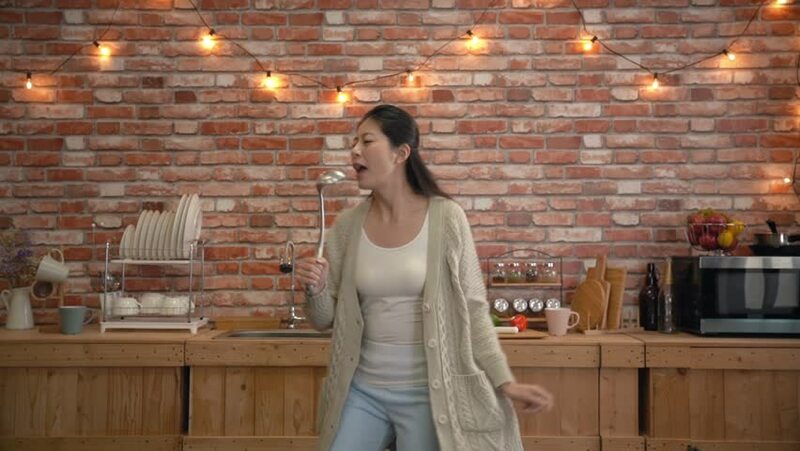 Modern beauty woman housewife cook singing and dancing in kitchen. hd00:18slow motion of housewife using a smartphone in the kitchen. she is texting to her friend. hd00:19slow motion of housewife using a smartphone in the kitchen. she is texting to her co-worker. She can finish her work in the home. Wherever and whenever she is. through the internet. hd00:19woman make a phone calling someone to invite him to go out for a trip this weekend at home.